Victorian Cricket Registration (VCR) is your association and club’s access point to the National Club Risk Protection Programme which provides public liability, personal injury and management liability insurance for Australian cricket clubs. The National Club Risk Protection Programme is designed to save clubs time, effort and money and provide enhanced cover and services for the cricket community. 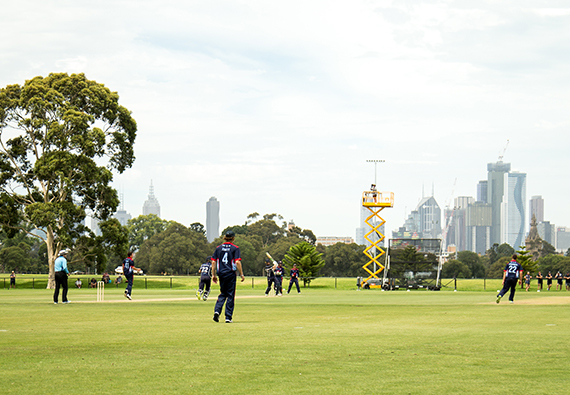 While the Victorian Cricket Registration process also plays a vital role in maintaining cricket’s standing as Victoria’s favourite summer sport. Understanding the demographics of the Victorian Cricket Community through Victorian Cricket Registration is a crucial component in managing state wide issues such as drought, access to facilities and participation growth in our game. When does the National Club Risk Protection Programme begin for 2018-19? Continuing from last season’s administration of club insurance, the renewal date for the National Club Risk Protection Programme for the 2018-19 season will be June 30, 2018. This will allow clubs to access their certificate of currency in preparation for local government ground allocation and pre-season activities. What are the insurance premiums for this season? The discount rate for the 2018-19 season is currently open. As in the past, JLT Sport will be invoicing clubs for the coverage provided under the National Club Risk Protection Programme. To streamline the process, invoices are made available immediately upon registration as part of the MyCricket / JLT Sport registration process. You will also have the option to pay the invoice immediately online. Your club’s Certificate of Currency will be sent directly to the primary email address you have nominated during your MyCricket registration, along with a paid tax invoice, once the funds are confirmed as paid. The discounted rate will apply to all clubs/associations that register and pay on or before 31 October 2018. As in the past season, your invoice will be based on the number of teams your club fielded last season rather than the number of teams you may field in the 2018-19 season. This calculation method is used so your club will only pay insurance for those teams that have actually played. This season club administrators are unable to edit these team numbers. If you believe the numbers to be incorrect, please DO NOT complete the online payment process. Please contact Arvind Suresh at asuresh@cricketvictoria.com.au or call 9085 4012 to advise the correct numbers so that the invoicing system can be updated accordingly. You will then be able to revisit the JLT Sport website shortly after you complete the process. How do I complete the 2018-19 Victorian Cricket Registration and National Club Risk Protection Programme? Full completion of the Victorian Cricket Registration requires each Club and Association to complete six simple steps, which are summarised below. If your Club or Association is already using MyCricket then you can proceed directly to the MyCricket website to login to your account. If your Club or Association is not yet using MyCricket please contact us by lodging a support request here – clearly identifying your state, organisation name, your name and contact details. You cannot proceed to Step 2 until you have completed this step. Once you have your login details this is a simple case of completing Steps 1 – 5 on the “How to Register for Insurance” webpage which can be accessed here. In this step, please ensure you update your organisation details, including your key contact. You cannot proceed to Step 3 until you have completed this step. Once you have completed your club profile you should proceed to Steps 6 and 7 on the (National Club Risk Protection Programme Registration – JLT Sport Component) “How to Register for Insurance” webpage which you opened in Step 2. This step will take you to the JLT Sport website (Cricket’s Risk Management advisors) to complete a brief Risk Management Education Module. Invoices are accessible immediately following successful registration, including the ability to pay the required premium online using a credit card payment portal. Invoices are not emailed to clubs but can be directly downloaded and printed by the user. This invoice will be for the 2018-19 season of the National Club Risk Protection Programme. Methods of payment will be detailed on the invoice. Invoices will be based on the number of teams a club fielded last season rather than the number of teams they may field in the 2018-19 season. This calculation method will effectively ensure that clubs only pay insurance for those teams that actually played. If you believe the numbers to be incorrect, please DO NOT complete the online payment process. Please contact Arvind Suresh at asuresh@cricketvictoria.com.au or call 9085 4012 to advise the correct numbers so that the invoicing system can be updated accordingly. A Public Liability Certificate of Currency can be accessed in two ways. It can be printed directly after successful online payment, or will be sent directly to the primary email address nominated during the MyCricket registration process once the funds are confirmed as paid by JLT Sport. Please note that completion of Steps 1-5 only partially fulfil your club’s registration requirements. To ensure full compliance with Victorian Cricket Registration and to ensure that your members are not slowed down during a claims process, Step 6 is also required. Keeping your organisation’s participant details up to date is vital and will ensure they are not slowed down during the claims process under the National Club Risk Protection Programme. Cricket Victoria recommends that clubs utilise the online player registration portal available through MyCricket, which also includes an online payment system. This can be used by returning players as well as new players to your club or association. There are many benefits of clubs getting their participants to register themselves for the coming season. Remove the tedious task for volunteers of manually entering participants personal details. Collecting payments via the Online Registrations process makes it easier for the participant (or parents) to complete the transaction, whilst removing the manually handling of cash by administrators. The transaction fee for online payments is 1.95%. Players entering their own details improves the accuracy and amount of information able to be captured. This helps when utilising the email and sms function on MyCricket. Details are automatically added to your MyCricket Person List. There will be no need for administrators to upload participant details manually. For more information on how to setup online registration and payments click here. Participant details are checked by JLT Sport whenever a Personal Injury claim is lodged. 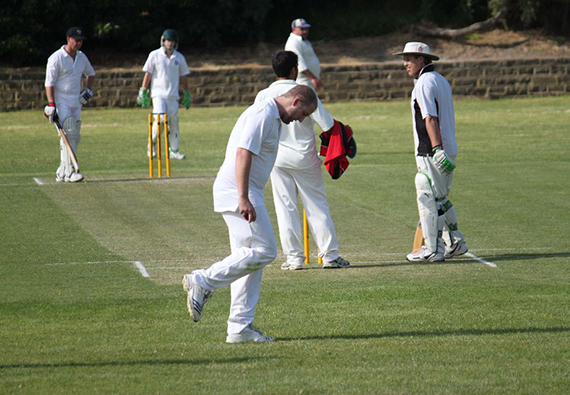 If the claimant is not recorded in MyCricket at the time of injury the Personal Injury claim may be delayed or denied. Whilst you will have selected a main contact person (Designated Contact) for Cricket Victoria we request that you also ensure you have recorded your Officer Bearers in MyCricket with the appropriate Role/Sub Role. Participants, clubs and associations can contact the appropriate person in specific circumstances. E.g. Contact Treasurer for invoice enquiries. Officer Bearers will be covered under the Risk Protection Programme as they are listed in MyCricket. This season in MyCricket, each club will be required to nominate a coach for each junior team at the club. A coach must have signed up at community.cricket.com.au/coach to be registered to be nominated to a team. Many associations and clubs already request that coach accreditation details are recorded in MyCricket. Simply add your coaches with a “TEAM OFFICAL” role then “Junior Coach” sub-role and they will be able to be selected against the relevant junior team. You will also be able to record their CCA ID Number in the custom fields when editing the coach’s personal details. For further instructions on how to add a coach to a team, please click here. Compliance with Victorian Cricket Registration and the National Club Risk Protection Programme will ensure the best available sport risk protection coverage for both the club and its participants is obtained at a significantly discounted cost. For information regarding the policy or to submit a claim please refer to jltsport.com.au/cricketaustralia for further information.